Here is the perfect side dish for your neighborhood barbecue. 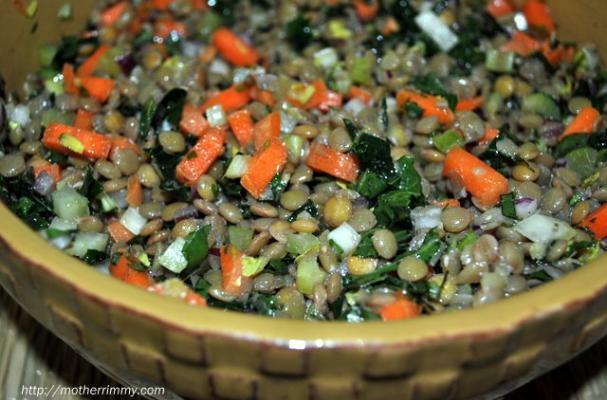 Fresh veg and herbs, combine with healthy lentils to make this fresh salad. We love to serve them at room temperature. Enjoy!